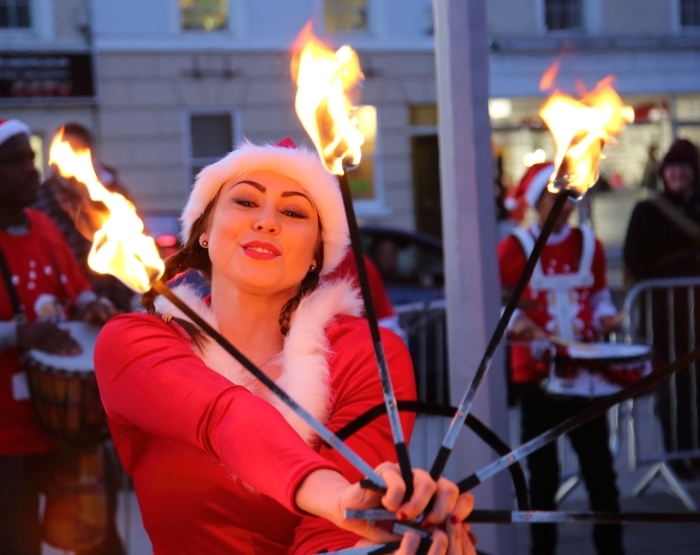 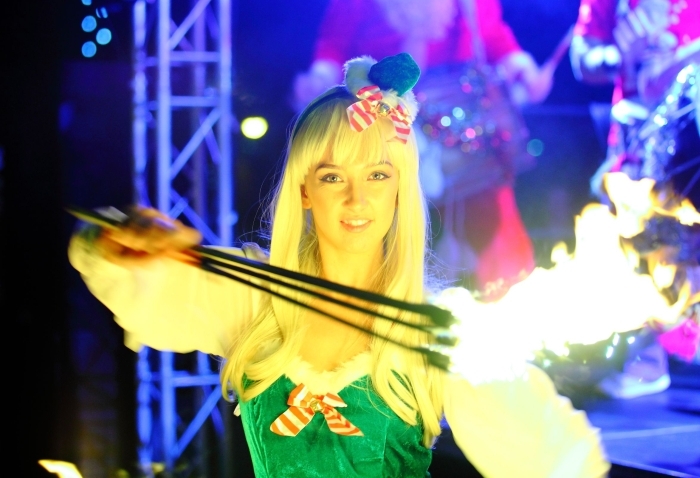 Some 1500 people participated in the Gravesham Festival of Christmas Lights on Friday 17th November which incorporated the switching on the town’s Christmas Lights. 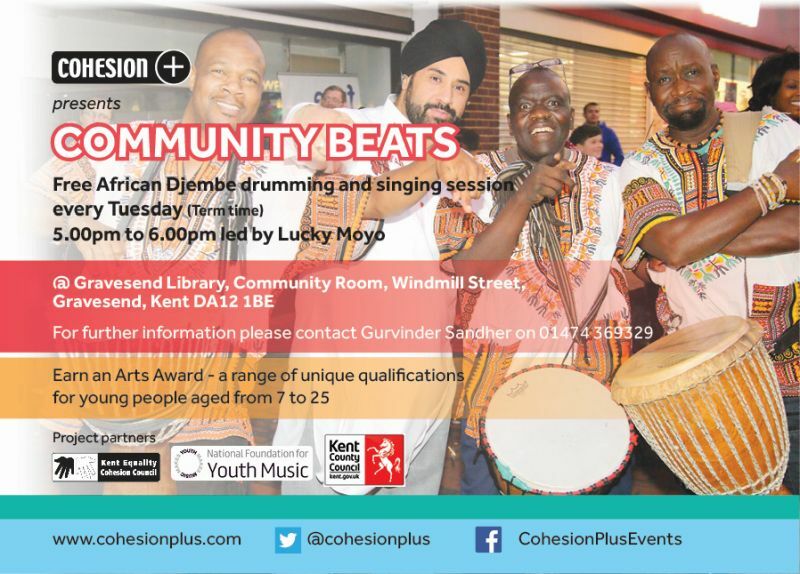 The celebrations were organised by Cohesion Plus working in partnership with Kent Equality Cohesion Council and Gravesham Borough Council supported by Arts Council England. 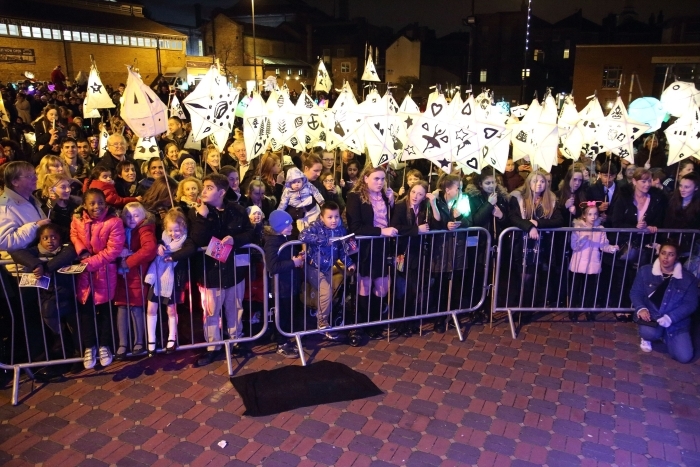 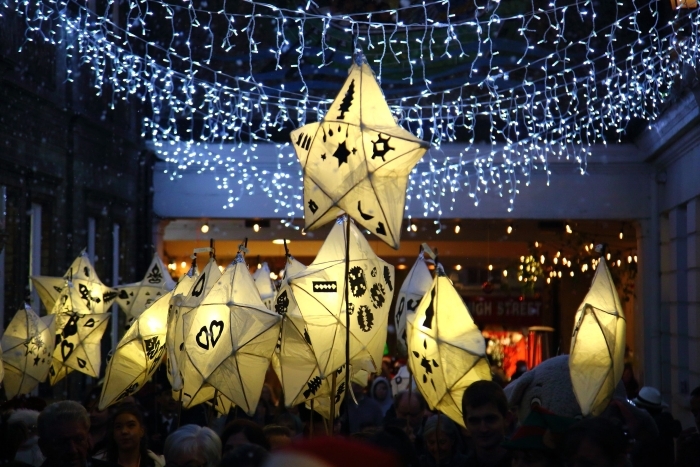 10 local schools took part in a lantern parade led by the Mayor of Gravesham, Councillor Harold Craske along with representatives from various faith and community organisations as well as street entertainers Bloco Fogo Samba, Brass Volcanoes, the Drumming Santa’s and the Black Knights. 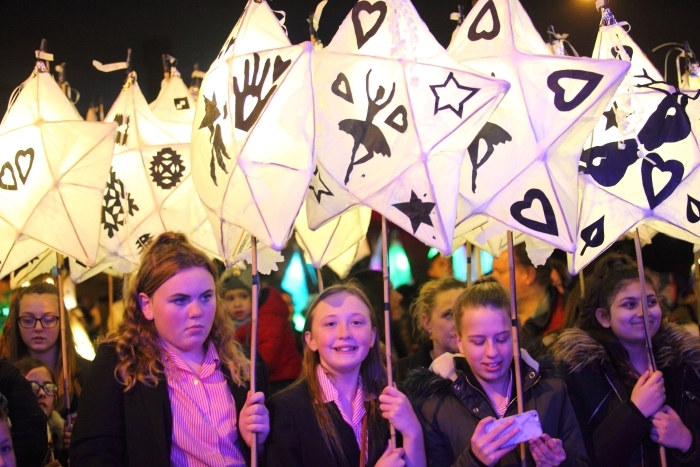 All the schools worked with Same Sky in the build up to the parade to create special lanterns which were showcased during the event. 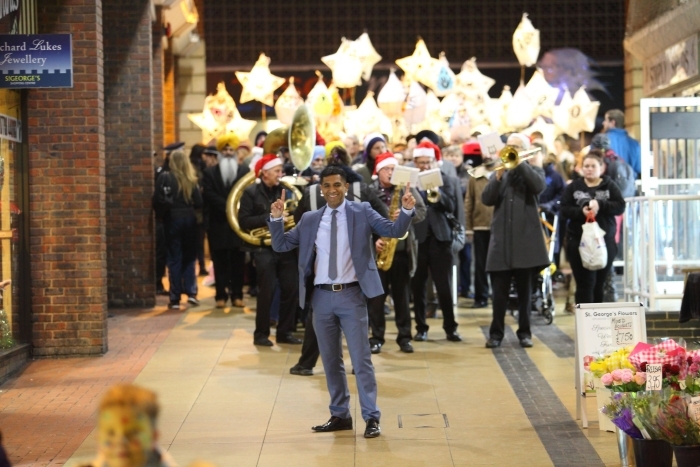 The parade started at Community Square and then travelled down Windmill Street, New Road, through the St Georges Shopping Centre before finishing at Gravesham Borough Market. 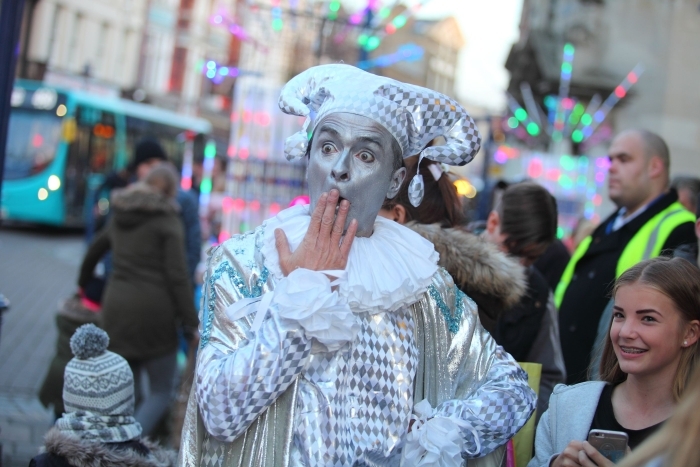 The Christmas Lights were switched on in the Town Centre as the parade passed by. 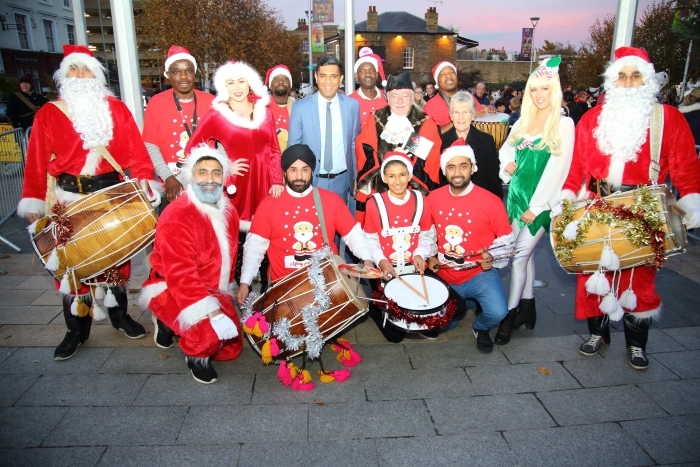 The climax of the celebrations took place in the Gravesham Borough Market where the Cohesion Plus produced “Drumming Santa’s” performed bringing a unique fusion of Christmas tunes to Bhangra and African drumming to entertain and wow the crowds. 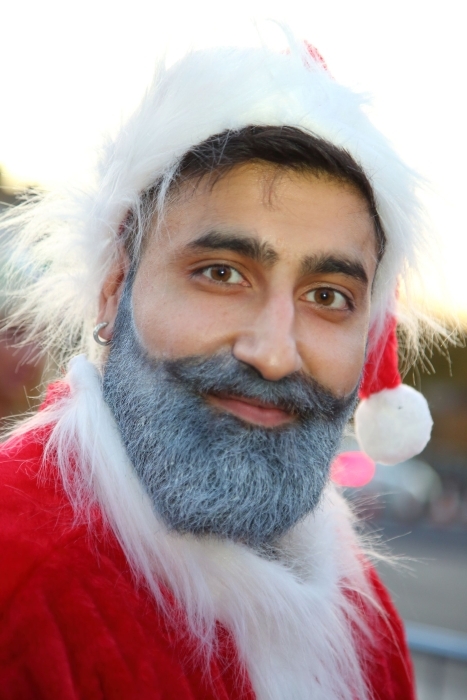 This was a new production co-produced with Bill Singh and Lucky Moyo. 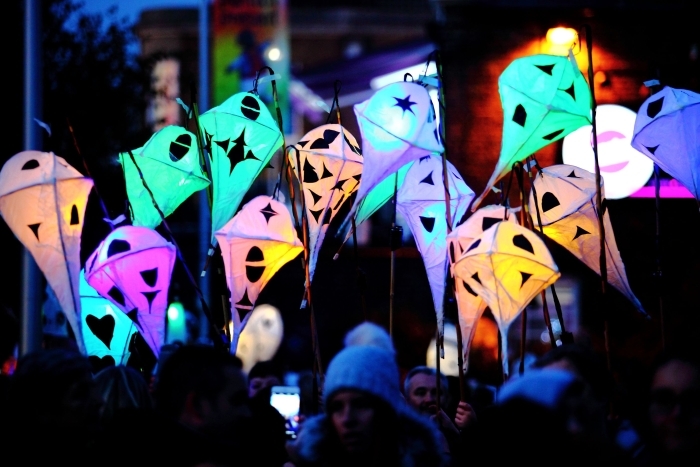 It underlined the whole ethos of Cohesion Plus namely using the arts to break down barriers and push artistic boundaries. 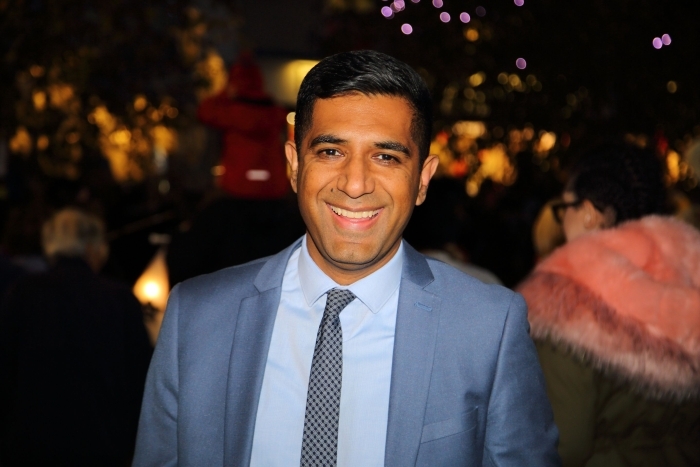 Gurvinder Sandher the Artistic Director of Cohesion Plus who led on the organisation of the event commented “I was overwhelmed by the positive response we had to the celebrations on Friday. 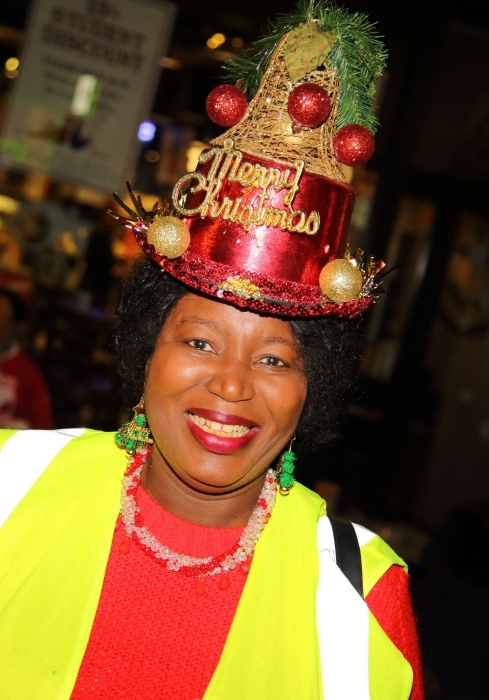 Christmas is always a special time of year for everyone and to see so many people from diverse backgrounds participating in the celebrations was wonderful. 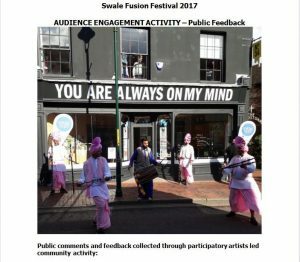 I believe passionately that the arts are an excellent way of bringing communities together and this was an excellent example of this. 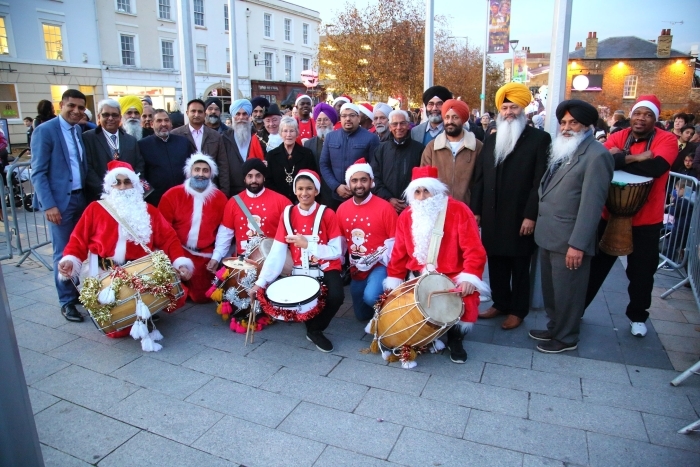 I have said previously that other parts of the country can learn from the work that we do here in Kent as it is important to celebrate all that binds us together in local communities. 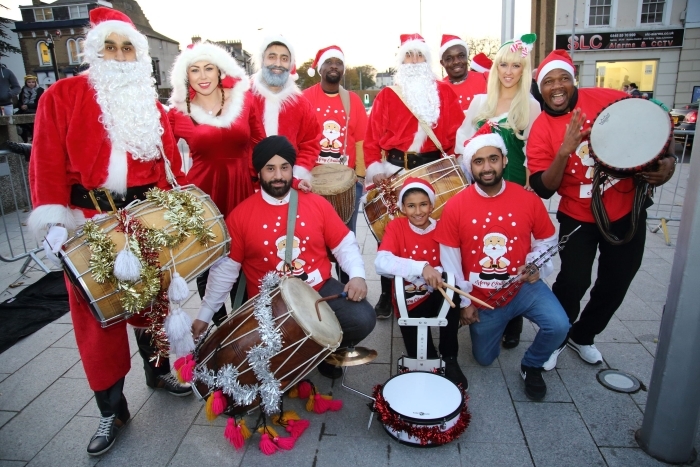 We have had a positive response to the Drumming Santa’s production something I am very proud of and hope we can take the show on the road in 2018. 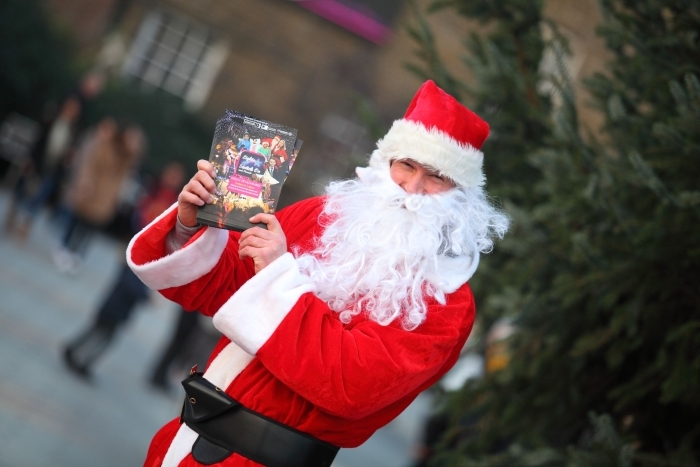 Previous PostGravesham Lights switch on posterNext PostThe BIG Seven-0 is coming!